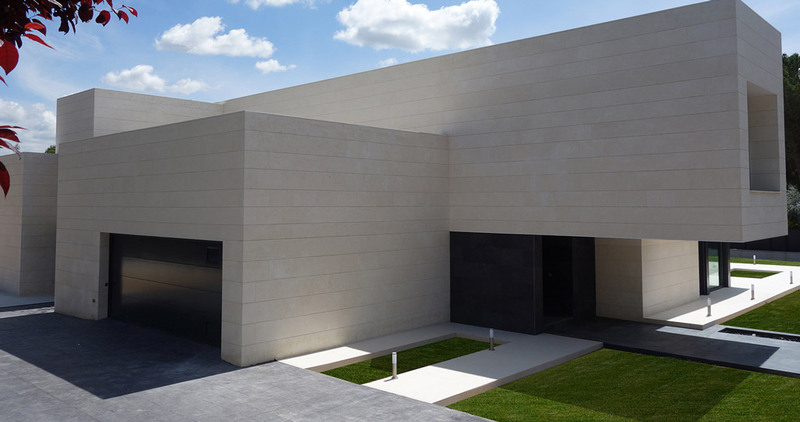 By means of a minimal-style project and imposing volumetry, Marta González Alonso, from Marta González Arquitectos, has become a finalist at the 10th PORCELANOSA Grupo Architecture and Interior Design Awards, in the Completed Project category. 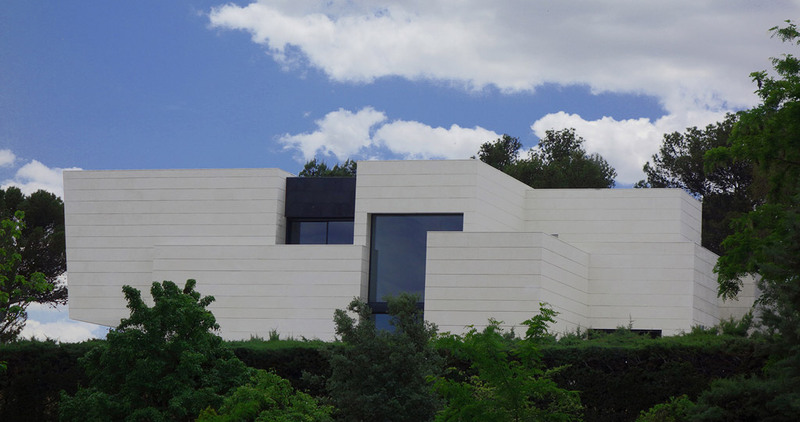 Her architecture project consists of a single-family home which combines different heights, slants and geometry, therefore, providing it with incomparable spatial wealth, full of volumes and feelings. 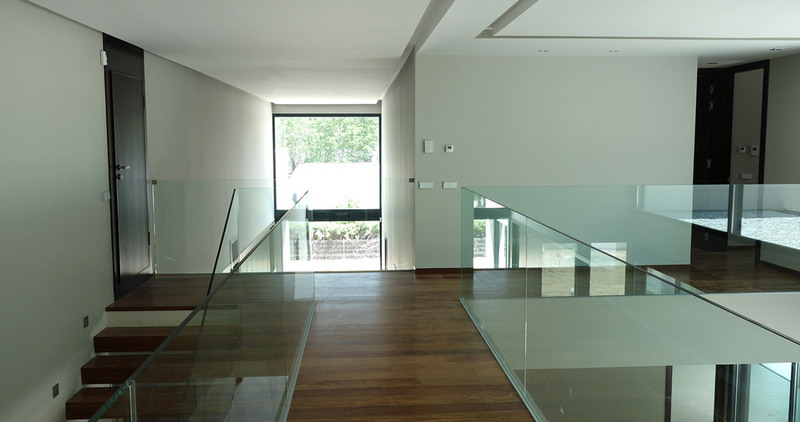 The Calleja single-family home banks on a double-height structure whose interior atrium turns into the main axis of the whole project. Thanks to the space integration created by this interior patio and the large windows enveloping it, an incomparable visual connection with the outside of the house is achieved. In the middle of the atrium, one can find an overhanging wooden sculptural staircase which gives you access to the southern-oriented public spaces, as well as to the most private ones located northwards. The visual spaciousness is emphasised to the max in the ground floor rooms, since they appear completely glazed along their whole outside perimeter. 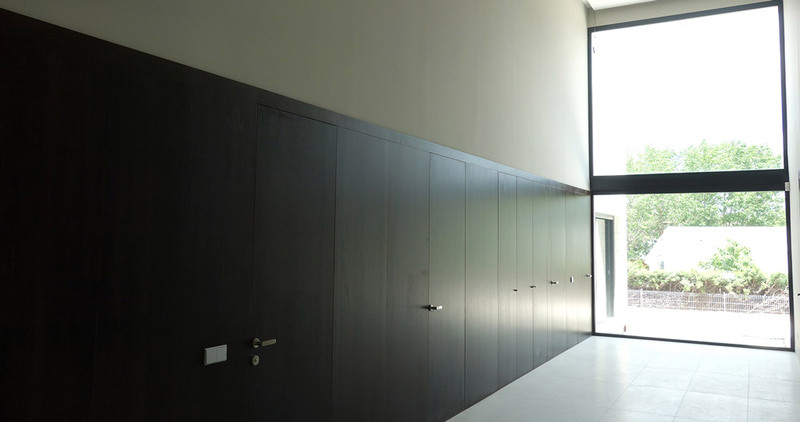 To be more specific, we are dealing with the hall, the reading room and the dining room, and also with the adjoining kitchen and living room, which are the spaces that provide this house with great value, portrayed in the visual enjoyment of the swimming pool and perimetral garden from all the rooms. 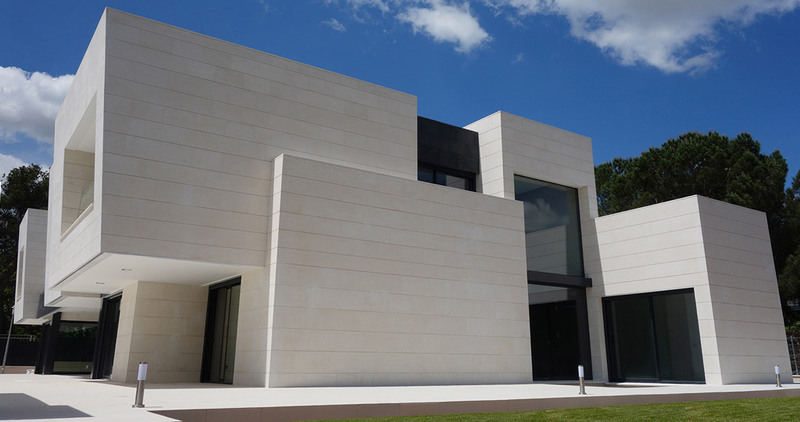 The Calleja single-family home pays tribute to the corporeality of fine materials, such as the stone, since it plays a major role, decoratively speaking, on the façade and along the interior double-height atrium. The combination of lights and shadows is noticeable in the structure with atmospheres where the lighting is strengthened through its shapes and materials, with environments which meet the needs of calmer and more peaceful atmospheres by making use of low intensity lights. Regarding the choice of the flooring on the first floor in the house, the firm has offered its white micro-cement flooring, in other words, a material which is able to make the space limits blurry through an outstandingly original elegant matt finish. 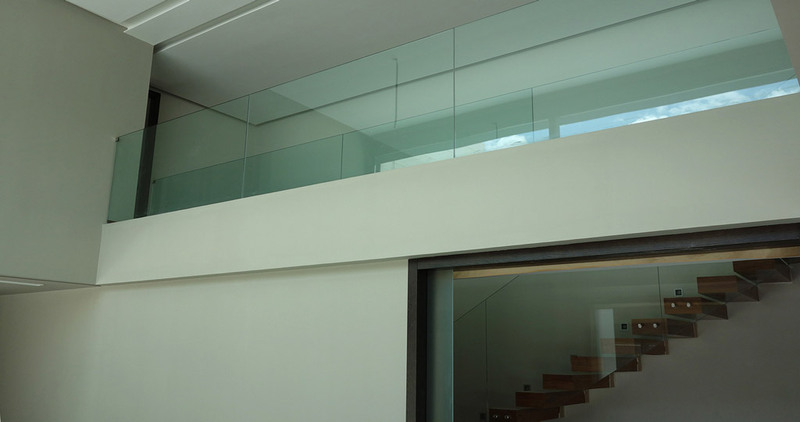 As expected, its four bathrooms have been the spaces deserving of a special attention given to the choice of materials. 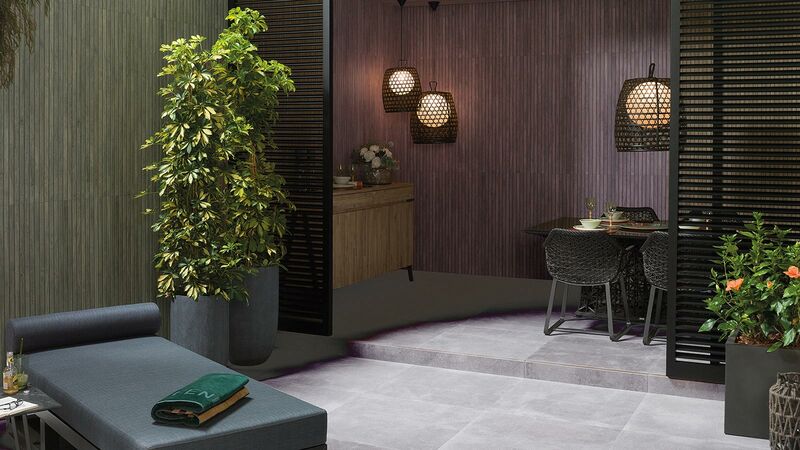 This is the reason why all of them have opted for a minimal interior design with materials of outstanding character and personality, such as the Portland Arena and Dover Acero ceramic wall tiles, the Dover Caliza STON-KER ceramic stone and the Artica rectified porcelain tile by Venis. As far as the bathroom equipment is concerned, in order to go in the same aesthetic line with the set of the house, those in charge of the project have opted for the minimal oval bathtub by Noken, the basins in a perfect white finish, also by Noken and Gamadecor, along with the wall-hung sanitaryware from the Mood collection by Noken. 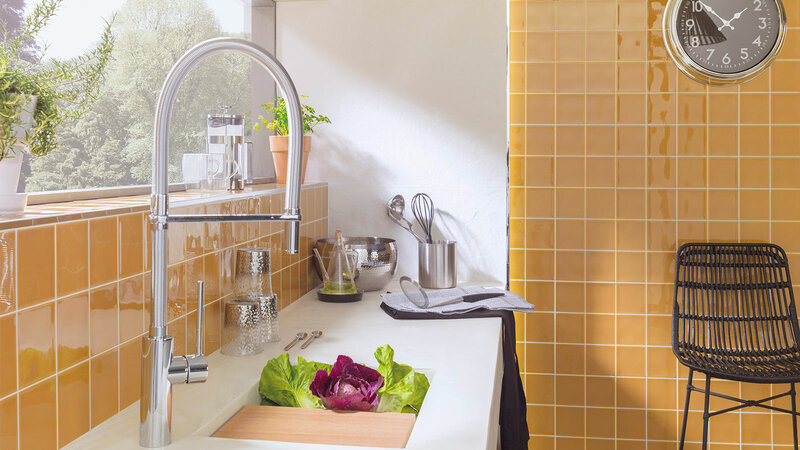 Some designs that go perfectly with the lacquered, lacquered matt and wood from Gamadecor in bathroom furniture, and the taps in a chrome finish by Noken.